Laptop theft is growing fast, representing a staggering 57% of all stolen information. Putting a laptop security program in place is a must for the education, government, and business community. Computer Security Products, Inc. offers a range of laptop security devices including laptop cable locks, notebook security cables, laptop tracking, portable storage laptop carts, laptop lockers, and STOP security plates. 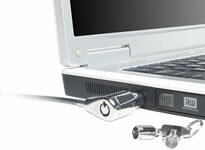 Computer Security Products, Inc. has a complete line of security cable kits for laptops. The Laptop Cart provides a safe and easy way to transport and store numerous laptops for school, government, training, or corporate applications. 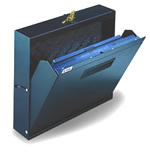 The Laptop Locker is a theft deterrent locking safe designed to securely store laptop computers and other valuables.